Located in Mauston, Wisconsin Rapids, and Poy Sippi, Wisconsin, Grace Apartments has offered HUD housing for seniors and handicapped individuals for over 30 years. We serve central Wisconsin with the largest rooms and most ample closet space of its kind in Wood, Juneau and Waushara counties. 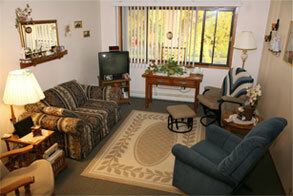 The mission of Grace Apartments is to furnish a safe and comfortable environment for its tenants. Rent is based on income with other available allowances at all three locations. Tenants will need to demonstrate that they are eligible for senior or disabled subsidized housing. This is based on income and situation. To find if you are eligible please fill out and return our Preliminary Application. Grace Apartments is an Equal Housing Opportunity provider. For a limited time, your referral can get you $100 if your friend becomes a tenant at one of our locations.